We at Key Solar LLC specialize in providing a number of key photovoltaic system services for interested commercial companies in Boston, Massachusetts. 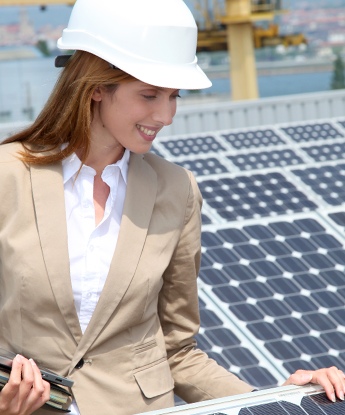 Our solar energy installation specialists are prepared to work with your organization from the first step of the installation process to the last, and then far beyond, as we will happily continue to maintain your PV system for years to come. Our work typically begins with an analysis of any building you wish to have a solar array built on. Our skilled professionals perform a structural analysis of any desired buildings, ascertaining whether or not the structure can support a PV array. After this, we perform a shading analysis to be absolutely certain that the building will not receive excess shade that might otherwise block the array. Key Solar LLC does everything in its power to work with electrical engineers and local electrical utilities. By working with these groups and individuals, we are able to choose the specific product that will best suit your company's situation. Afterward, our specialists put together a comprehensive plan for your new solar array, making sure that everything will run smoothly. We employ a number of dedicated on-site construction managers that maintain responsibility for any and all of our construction projects. These dedicated individuals are responsible for the entire life cycle of an installation, from the initial mobilization to commissioning the project. These capable managers stay on top of every step of the process. Our team of experienced installers have years of local knowledge in the electrical and mechanical fields. They put this knowledge to work for you, making certain that your solar panel system is installed successfully. After installation is complete, we at Key Solar LLC are not done. We are pleased to monitor your array for performance, and our specialists are prepared to troubleshoot any service issues that may arise after installation. We provide continued service and maintenance to your company on a case-by-case basis, depending on your contract with us. Our monitoring services are typically done online, to ensure that the array continues to produce expected amounts of energy, but we come out to perform maintenance if it isn't.